Our steel tape is made with a premium adhesive or foam adhesive backing to one side. 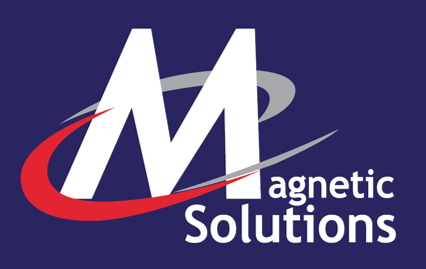 This makes steel tape ideal for sticking to non-steel or non-receptive surfaces adding magnetic receptivity to almost any surface. The steel tape pairs perfectly with magnetic tape and provides an approach for the quick and easy changing of displays or other visuals. 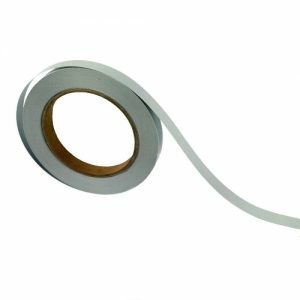 Our steel tape is 13mm wide and 0.2mm thick and comes with the option of a premium or foam adhesive backing. Our steel tape with premium adhesive is designed for strong adhesion to flat or smooth surfaces. The premium adhesive is highly resistance to plasticisers which making it suitable for sticking to PVC and other plastics. We supply the tape in rolls of 15m or 30m lengths. If you only need 5m or so of tape, you can get it here. 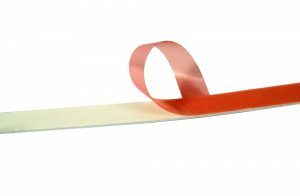 Our steel tape with foam adhesive backing has a gloss white finish. The extra “give” in the foam backing makes it the ideal choice for irregular or uneven surfaces such as wood.